Immigration is difficult. Some cross deserts. Even those with the means and good fortune to attempt legal immigration, to get “in line” must affront seemingly trackless legal thickets. When I was a resident (but not citizen) of Italy, married to an Italian and seeking to adopt a Bulgarian child, two practiced INS lawyers told me that our case was the most complicated they’d seen in 30 years. If not for the loophole of the fact that I worked for the University of Maryland, European Division, the “easiest” way for me to have had Emilia become a citizen (this was before adoption automatically conferred citizenship) would have been to taken up residence for 6 months in a state with a short citizenship line, like North Dakota or Montana. And wait. Just for Bulgaria, we had to present 21 documents besides the home study. Not just good health and financial stability. We had to swear not to rip the child’s vital organs out and sell them, not to sell her, to be “completely unable to have a child,” and so forth. Each document then had to go to the Questura (police station) in Naples for stamps and then to Rome for further stamping at the Bulgarian embassy (ca. $50 each). In a hearing before Italian officials for one document as fit parents, having waited 5 hours, standing in hot chambers for an audience, we were asked what our hobbies were. Maurizio answered listlessly, “Facciamo documenti” (We make documents). One requirement which brought me to tears of frustration required a document proving my US citizenship which was NOT a passport or birth certificate and which, furthermore, was signed by an official whose signature was on deposit by the chief of police of the place of my residence (Naples, Italy). I was born in New York City. I offer a signed copy of my book to anyone who doesn’t know the story who can figure out the eventual byzantine solution to that one. We finally had Emilia (age 10) in hand and a verified U.S. citizen. Now we had to now obtain her legal right to stay in Italy with us before her Italian adoption was complete (one year). We went to the Questura for her residence permit. Impossible. 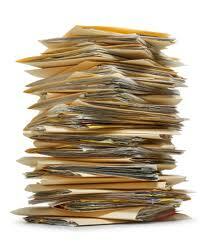 Not enough documents. We would need document A, which requires B and C, which we couldn’t get. So. . . . what? She goes back to the orphanage? Emilia, who didn’t speak Italian or English, must have grasped a crisis. She overheard someone call to a police officer named Emilia, somehow made the coincidence known and smiled charmingly, holding our hands (which she rarely did then). Suddenly the game shifted. Four bureaucrats huddled, puzzling out options. Finally they had it. On the short line for “motive for legal residence” an officer wrote in tiny script: “Minor child granted permission to stay in Italy for reason of family cohesion to the mother, a U.S. citizen, legally resident in Italy by reason of marriage to an Italian citizen.” The whole office was called over to admire this triumph of heart over legalism. Emilia the police officer kissed Emilia the child and said: “Benvenuta in Italian, bambina.” (Welcome to Italy, little girl).